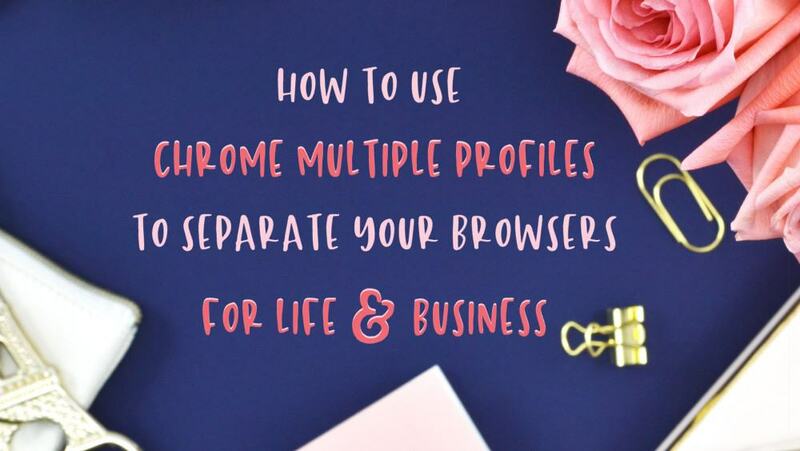 This post will show you how to use Chrome multiple profiles to separate your browsers for your life AND your business! Oh the organization, it makes my heart so happy. When I started blogging, I was bookmarking all my blog resources and trying to make them fit into what seemed like what was already full. But then I happened upon this amazing trick to have SEPARATE browsers. So I can keep all of my personal life on one, and all of my blog life on the other. You can be logged into two different things at the same time. Like your personal Pinterest on one, and your biz Pinterest on the other. Sign into your browser with an additional Gmail Account. (Optional) Right click on Open Browser in bottom Task Bar and Select Pin to Task Bar. Want to organize your resources? CLICK HERE OR BELOW TO KNOW WHEN IT’S AVAILABLE! This tutorial shows you how to use Chrome Multiple Profiles to separate your browser windows. Make sure to join me on Facebook at The Organized Blog Society! And don’t forget to sign up for my mini-course! Oh man, where has this been hiding. I LOVE this and am going to implement it this week. Thanks so much for sharing it. Thank you Jackie! I hope it’s helping! Oh my goodness!! This is the best thing ever!!! I am the queen of browser tabs and windows…all Chrome, of course! And I am constantly signing in and out of various accounts for work, for personal, for my blog, for my boyfriend who is a ‘bit’ tech challenged…which means I have bunches of incognito windows opened up and signed in to multiple accounts. Never knew there was a better way!! So excited to read about this!! Thank you for sharing!! So glad to help Sandy! Even though I have separate Chromes I STILL have a million tabs! I call myself the “tab hoarder” lol!